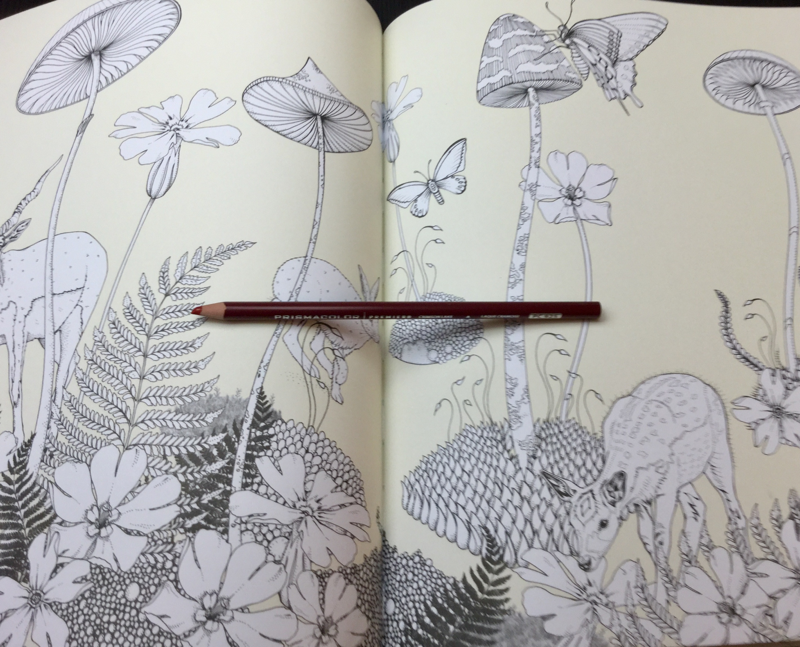 Journey through dream-like forest scenes, and encounter real and fabulous creatures in this gorgeous new coloring book by Daisy Fletcher, creator of Birdtopia. 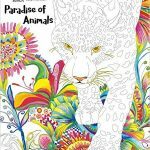 Beginning in a woodland world of otters, badgers, foxes, and deer, the pages gradually transport you deeper into a flower forest, a magical environment populated with rare and mythical animals such as caracals, squirrel monkeys, muntjacs, and ibex. 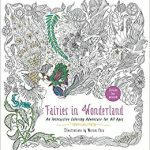 Color your way through exotic and wonderful plants – Candy Cane Sorrel, Passion Flowers, and giant Cacti – and you may even discover a unicorn. 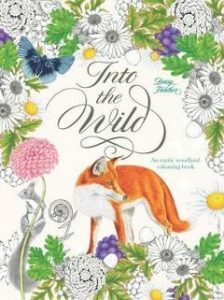 Into the Wild Coloring Book is the follow up to the very popular, Birdtopia Coloring Bookby Daisy Fletcher. 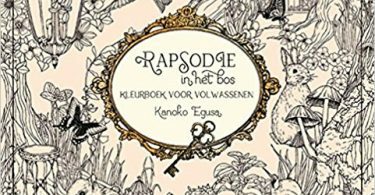 Although I love Daisy’s illustrations, I will say that I never purchased Birdtopia because all those feathers …just frightened me! 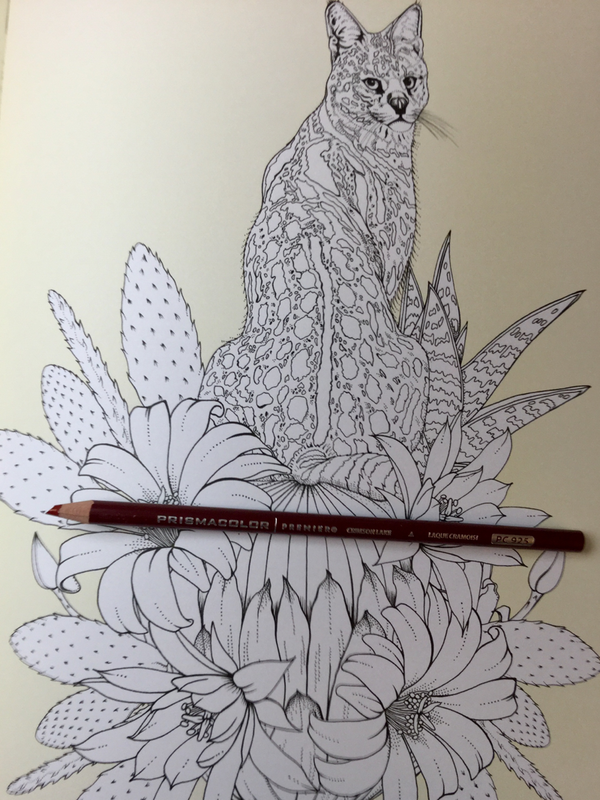 Cute animals though, that’s a different story, so I was excited for Into the Wild Colouring Book and, of course, hoped for bunny rabbits! The cover of Into the Wild has a similar feel to Birdtopia. It is larger than A4 sized and quite weighty. 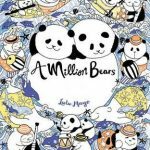 On the front cover beautiful and delicately drawn illustrations in color and black and white have been printed on a creamy, lemon background. This cover art is indicative of the material inside with the line art all printed against the creamy lemon background. 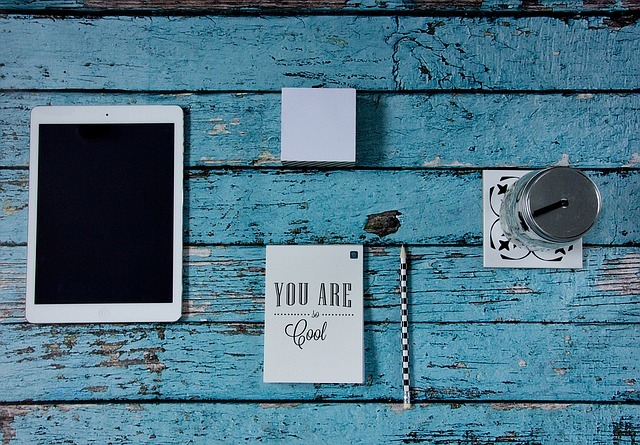 A gold foil title gives the book an elegant touch. On the back cover the same lemon, cream background has been used. 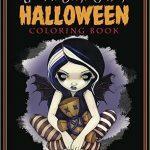 You will notice that there is a lot of black on the illustration with a distressed feel to it. This also is indicative of some of the art inside. The cover is matt and should you purchase the book you may want to cover it in plastic. 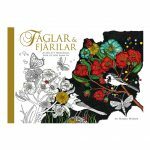 After just a few days in my coloring cave the book looks like it has been rolling in the wild earth. This is surprising to me considering how OCD I am about keeping my surfaces clean. The cover has fold out flaps and a lovely deep green inner cover. 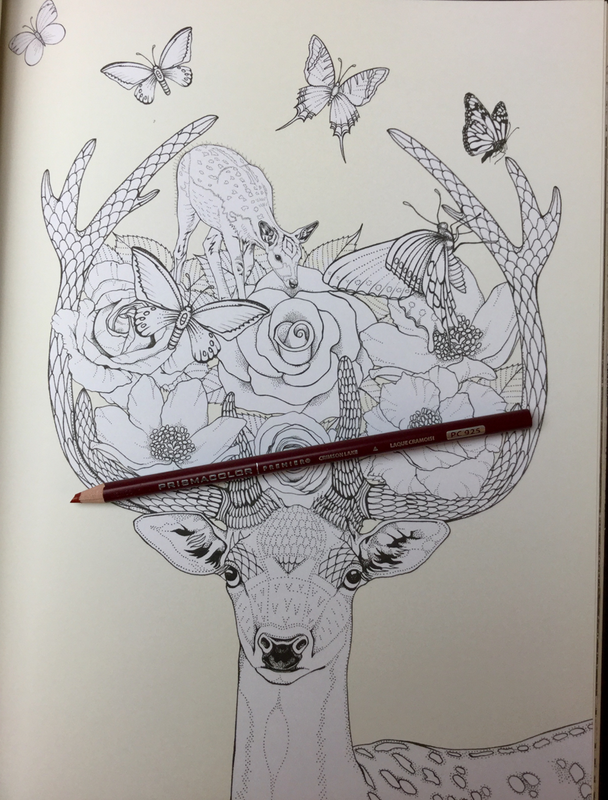 The back cover features line art that you could color in if you wished. 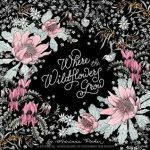 Into the Wild Coloring Book measures approximately 9.4 in x 12.2 in. A plain text title page commences the book with dedication and a little bunny on the reverse. At the rear of the book is a 6 page visual thumbnail index. 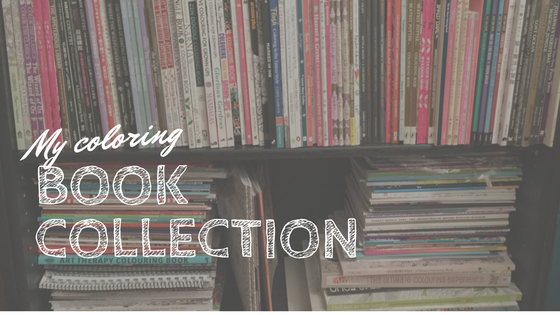 Any of these preceding pages would be a great spot to test out your mediums. 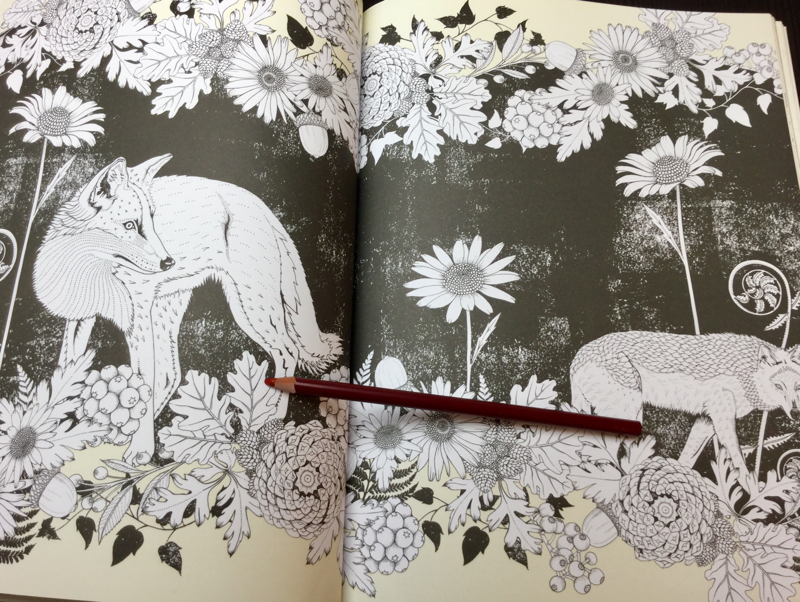 Illustrations have been printed on both sides of the medium quality paper. All of the pages feature a lemon/cream background. All of the art work haws been orientated portrait style. 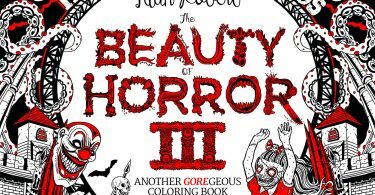 There are 34 double page scenes in the book. 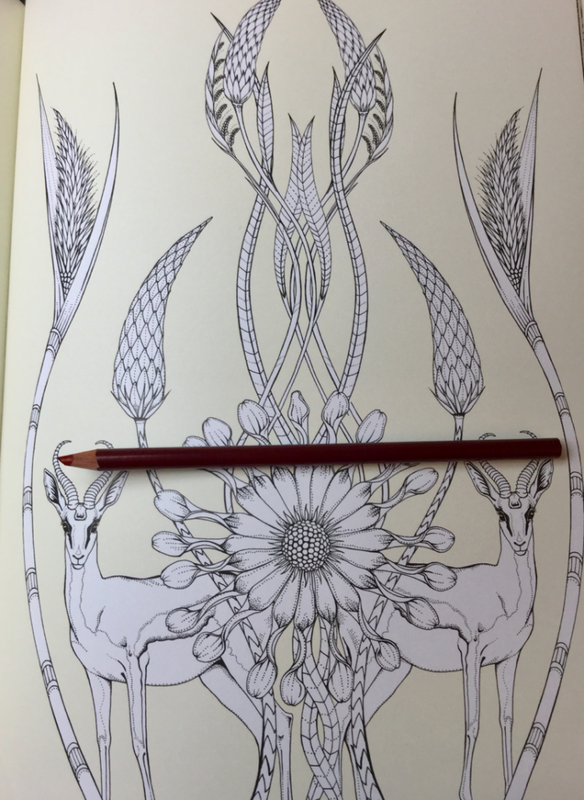 Line art does run to the spine of the book and it is a little stiff at the moment to color in this area. Try as I might, I am far too much of a weakling to crack this spine and will have to transfer it over to hubby to get it a push to relax it. 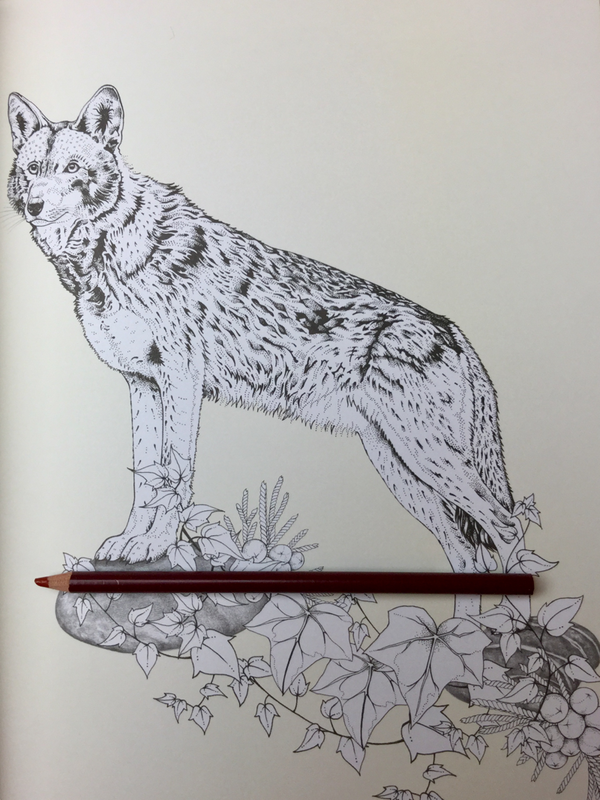 The style in Into the Wild coloring books is different from her previous work with a distressed black background used on many images in the book. It has taken me a little while, but the distressed background effect has grown on me and it reminds me a little of Ticket to Dreams. 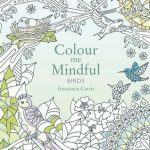 It can be a bit divisive though because it is such a contrast to her elegantly drawn work printed on the colored background. Daisy Fletcher has a delicate hand when illustrating animals. Her line art is crisp, clean and elegant. 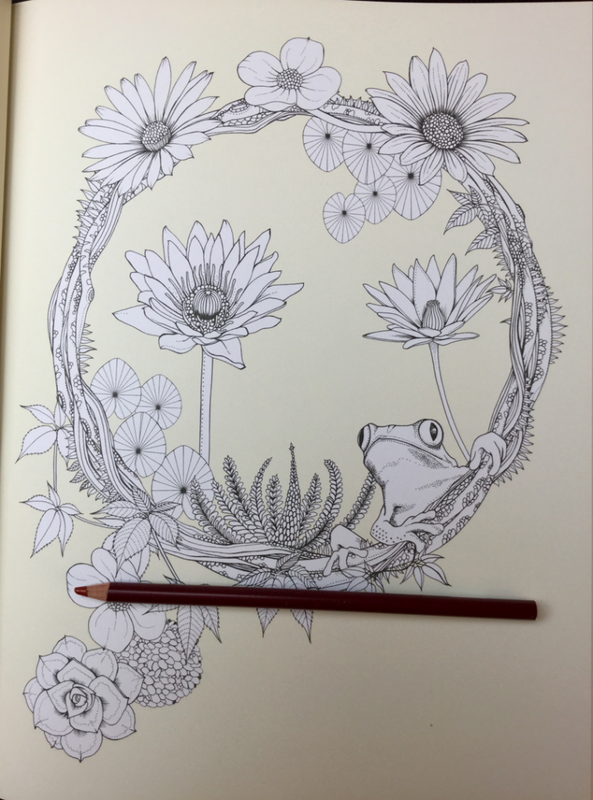 Details are added in a finer line giving texture and dimension to whatever element she is drawing including the lovely flowers which feature heavily in this book. 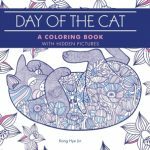 You will find a variety of animals to color in this book. 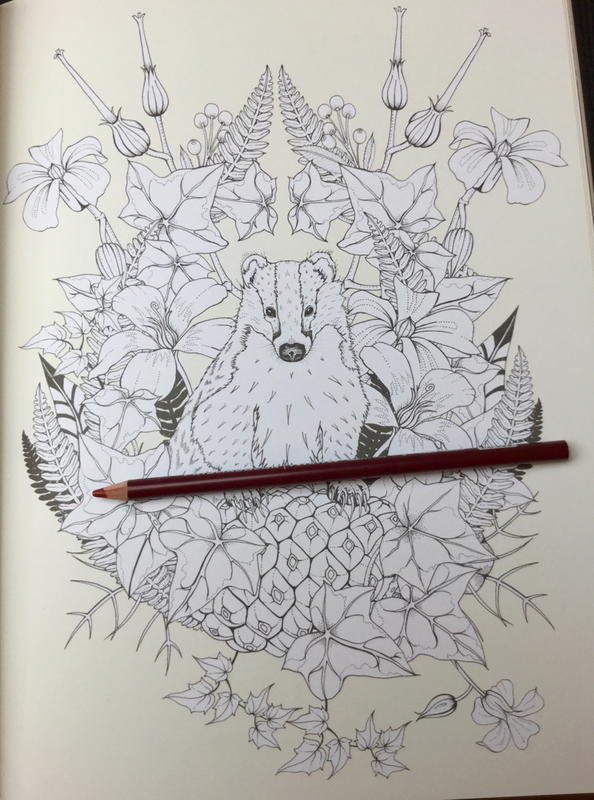 Most of the animals feature on a page with flowers or leaves and are generally the focal point. 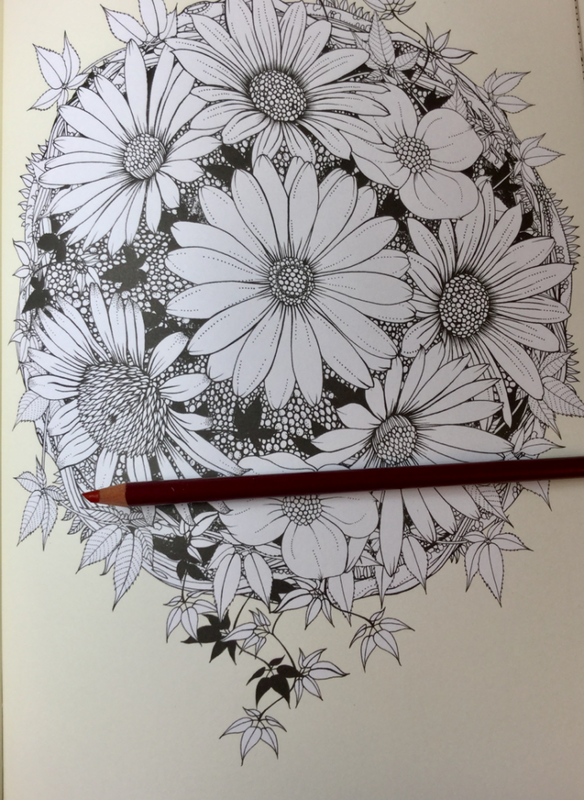 If you love coloring flowers you will appreciate the many varieties that have been included in this coloring book and the artistic pointillism used to indicate shading. 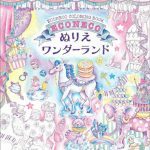 A gorgeous 4 page fold out poster is at the end of the book which includes a gorgeous unicorn.